Lil Wayne & Shanell: Okay, so Weezy seems to be having a BLAST on his tour. Recently I uploaded a video of him recieving a lap dance from Nicki Minaj, now he's grinding with Shanell SNL on his I Am Music Tour. They seem to be having fun lol. Nicki Minaj: who is currently touring America, took time out to attend Christie’s Green Auction: Bid to Save The Earth. And Nicki really did do her part with the whole Green factor. Nicki surely went green for this and hopefully she's helping in saving the Earth lol. The Kardashians and the Jenners: they are probably the hottest family on reality tv in history! 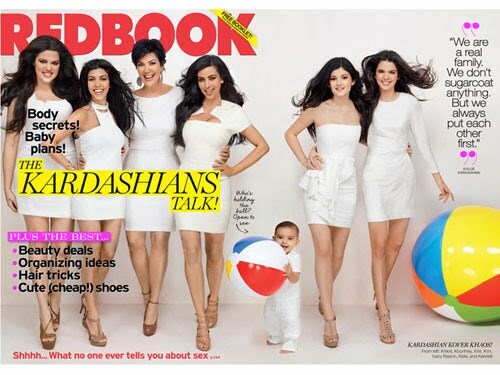 The Kardashians and the Jenners covered Redbook magazine (I've never heard of it, but you know *shrugs*). They all seem to look good, even the three little ones Mason, Kendall & Kylie.